Make an appointment for your test access. Convince yourself of our digital solutions for your compressed air system. We combine compressed air with Industry 4.0. With the LOOXR leakage app you can digitally document and evaluate the compressed air leakage location. 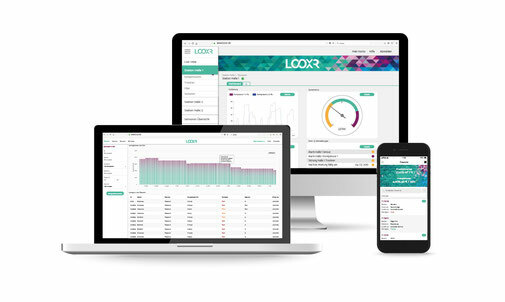 LOOXR Compressed Air 4.o digitizes your entire compressed air system and offers the functions: Monitoring, Predictive Maintenance and Analytics. Just fill out the contact form. Our support team will then contact you to arrange a personal appointment. Increase the efficiency of your compressed air system. We will show you how to optimize your compressed air supply quickly and easily with Industry 4.0 and an intuitive software in a transparent and energy-efficient manner.